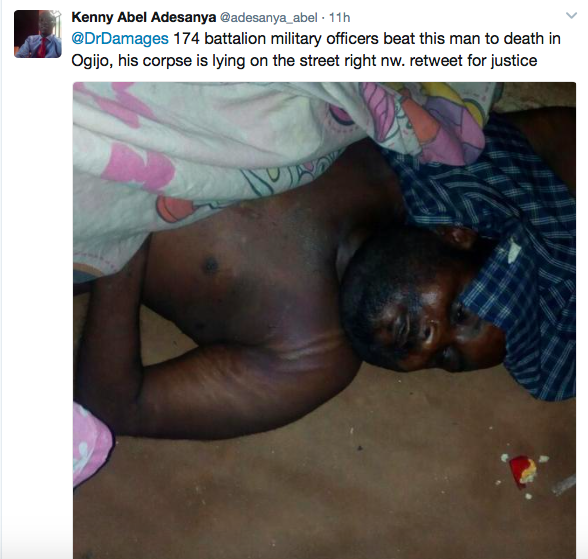 A Twitter user @adesanya_abel shared this photo of a man beaten to death and abandoned on the street in Ogijo, Ogun State. It is high time our violent military men are called to order. Sad!